Updated 7:33 p.m. According to a report by Fox13 News, Gov. Gary Herbert has signed the resolution asking President Donald Trump to rescind the Bears Ears National Monument. CEDAR CITY – Utah senators joined the House Friday in passing a controversial resolution asking President Donald Trump to undo a last-minute executive action by his predecessor to designate the Bears Ears region a national monument. In a 22-6 vote largely split down party lines, senators approved House Concurrent Resolution 11 urging the president to rescind the Bears Ears National Monument designation. Republican Sen. Brian Shiozawa of Cottonwood Heights joined his Democrat colleagues in opposing HCR 11. The nonbinding resolution lacks any force of law. But that didn’t stop legislators who wanted to send a loud statement to Washington that they believe Utahns are in the best position to manage the state’s public lands. To send that statement, legislators made sure their top guns led the cause with House Speaker Greg Hughes carrying the resolution to passage in the House on Tuesday in a 60-14 vote. On Friday, Senate President Wayne Niederhauser, R-Sandy, presented it on the floor of the Senate instead of from his customary position at the head of the chamber. It’s rare for the speaker and the president to sponsor and manage bills, said Sen. Evan Vickers, R-Cedar City. “They very seldom sponsor any bills during the season,” Vickers said. Former President Barack Obama created the 1.35 million-acre monument late December in an executive order he signed in the waning days of his administration. Many Utah leaders considered the move another federal overreach that eliminates the voices of the people it will affect the most. While there is agreement among most that Bears Ears is worthy of preservation Obama ignored the wishes of local residents through his executive action – including Native Americans, Sen. Todd Weiler, R-Woods Cross, said. Weiler criticized Obama for not having the respect to come to Utah when he signed the action. “I find insulting that President Obama couldn’t even interrupt his golfing in Hawaii (for the monument designation),” Weiler said, referring to the former president vacationing with his family over the holidays when he made the announcement Dec. 28, 2016. Weiler said he would have preferred congressional passage of the Public Lands Initiative, a bill carried by Republican Reps. Rob Bishop and Jason Chaffetz, that proposed less restrictive land uses for 18 million acres in eastern Utah, including the Bears Ears region. If passed, the bill would have called for land management that allows for multiple uses. 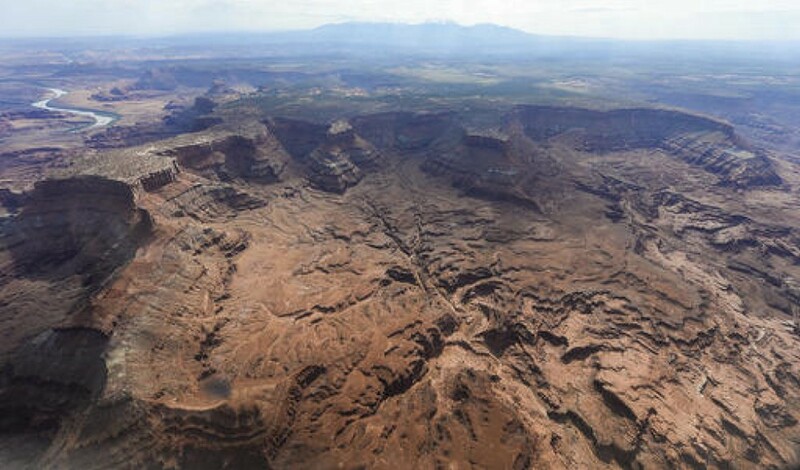 The bill also designated two national conservation areas in the Bears Ears region. Democratic senators argued Friday that the failure of Bishop’s initiative spurred the monument’s creation. Sen. Jim Dabakis, D-Salt Lake City, argued the proposal turned into a game of politics. Dabakis, calling the bills “dumb,” maintained that Bishop nor others in Utah’s congressional delegation ever made a genuine attempt to work with the executive branch. Republicans, however, defended the initiative arguing that the legislation is the right way to protect land. Sen. Gene Davis, D-Salt Lake City, said the former president gave Bishop and Chaffetz plenty of time to prepare and lobby for the Public Lands Initiative. However, Obama had to take action to preserve those sacred areas when their efforts failed. Senate Minority Whip Karen Mayne, D-West Valley City, told her colleagues that she conducted a survey that showed the people in her district voiced overwhelming support for the Bears Ears monument. Mayne said the monument is for all Utahns, not just local residents in San Juan County. Gov. Gary Herbert, also a critic of the monument, is expected to sign the resolution early next week. Sources say Republicans are hopeful the resolution will be ready to give to Interior Secretary nominee Ryan Zinke, who promised Sen. Orrin Hatch, R-Utah, in January to visit Utah immediately after being confirmed to his new post by the U.S. Senate. Zinke’s confirmation awaits a Senate floor vote as the Energy and Natural Resources Committee approved the nomination Tuesday. An additional resolution calling for Trump to reduce the Grand Staircase-Escalante National Monument is also before lawmakers. The measure passed the House this week in a 61-13 vote. It was approved by a Senate committee Thursday evening and is still waiting debate on the Senate floor. The resolutions, Niederhauser said, send a message to Washington that Utah is looking for a more balanced approach to the preservation of public lands. Do you have any idea of how many jobs have been created by the parks in Utah?? Are we so clueless as to believe 7 billion people came to Utah to see coal mining?? Tourism is now Utah’s largest industry and top employer, oh and fastest growing industry in the state. Yep, let’s go back to coal mining, heck all the mines are being automated anyways so now we can kill jobs in Utah across the board. The job market has never been better, let’s progress not regress! Who knows maybe your children will even chose to stay where the job market is strong and the air is clean. travel and tourism the largest “export” industry in the state. in wages.” University of Utah report on tourism, 2014.